USD is still losing power and the traders are paying attention to the BoJ and Fed meetings. 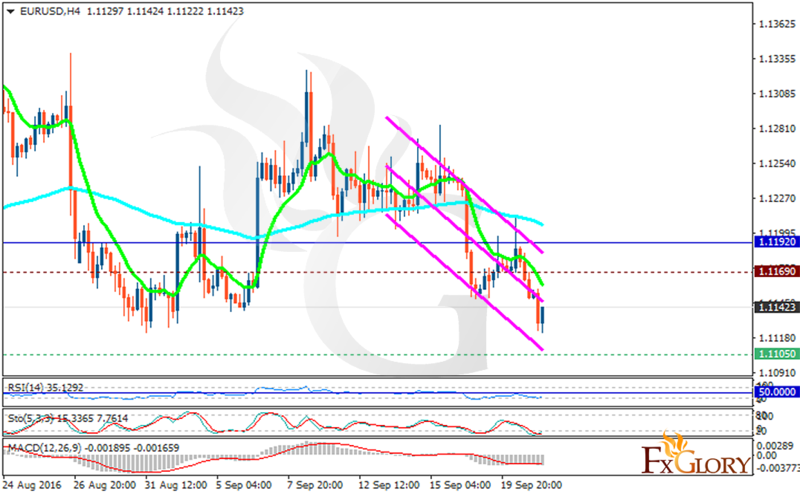 The support rests at 1.11050 with resistance at 1.11690 which both lines are below the weekly pivot point at 1.11920. The EMA of 10 is moving with bearish bias and it is located below the EMA of 100. The RSI is moving in oversold area but it is getting close to the 50 level, the Stochastic is showing upward momentum and the MACD indicator is in negative territory. The chart seems bullish at the moment, traders can target the resistance zone breakout for now.